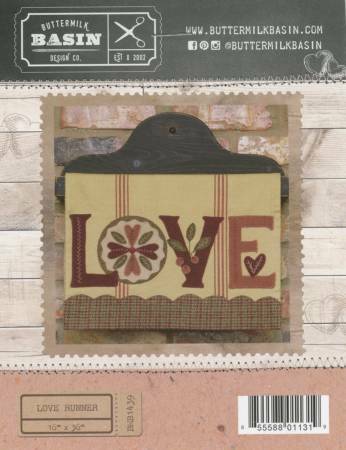 This love runner pattern is perfect to display on a towel or cotton fabric with a binding. The pattern is from Buttermilk Basin. The finished runner measures 16x36"